There are many reduction diets, but there are rules that are repeated in many of them.Among dietary recommendations, the most common is the elimination of white sugar. People who are used to eating sweetened foods and drinking sweet tea and coffee are often looking for ways to replace sugar with a product that will not prevent them from fighting excessive kilos. Not all sweeteners are healthy, so it’s worth taking a closer look at them. In ready-made food, the common sugar substitute is aspartame.At the same time, it is a sweetener that evokes the greatest controversy. Opponents of aspartame point out that it disturbs the appetite, because it leads to an increase in insulin, and thus to a decrease in glucose levels and a greater willingness to consume something sweet. What’s more, among the adverse effects of aspartame, there is an increase in the risk of neurological disorders and carcinogenic effects.On the other hand, there is no scientific evidence that would fully confirm the negative impact of aspartame on the human body. This sweetener has been found to be safe by EFSA, the European Food Safety Authority. There is therefore no reason to be afraid of consuming products with aspartame. The exception are people suffering from phenylketonuria should completely eliminate products containing aspartame from their diet. At the same time, it should be borne in mind that for each sweetener an acceptable daily intake norm is specified.It is not without significance that we can not be sure of the influence of chemical substances on our body. People who want to drink sweet coffee and tea are recommended primarily natural sweeteners.Among them, you can mention stevia.It is a plant originating from South and Central America, whose sweetening properties are 300 times stronger than sugar.Importantly, stevia is a non-caloric product.Its use is also safe for diabetics.Stevia is available in several forms, including tablets and liquid extracts.It is also possible to grow this plant in Poland.Some, however, point out that stevia has a distinctive taste, and therefore the beverages that are sweetened with it may taste a bit different than when adding white sugar to them.Another popular sweetener is xylitol, or birch sugar. 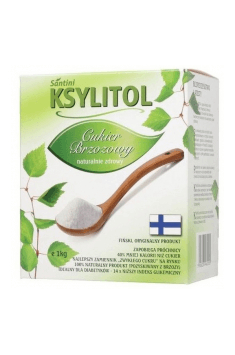 Xylitol contains 40% less calories than white sugar, and is additionally characterized by a low glycemic index, so it is a good product for diabetics. It is worth mentioning that birch sugar is harmful to domestic animals, so you should not give them products that have been sweetened with it. You can read also: Artificial sweeteners are curing cancer?